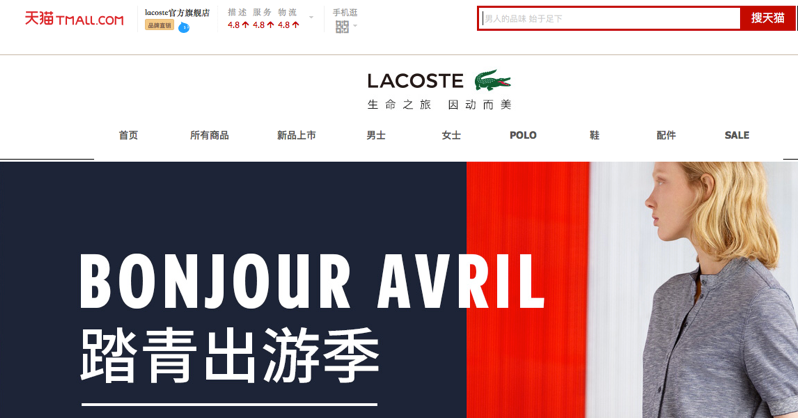 Companies such as Avène, Lancôme, Lacoste, L’Occitane but also Peugeot have discovered a very useful and easy way to reach their Chinese consumers: Tmall and Tmall Global. Along with 50,000 similar companies and 70,000 different brands, they operate “storefronts” on the B2C e-commerce marketplaces. These two marketplaces have been advertised by Alibaba – their parent company – as « the fast track into China ». Indeed, they offer an excellent access to China’s 307 million active online buyers, who absolutely love to buy online. 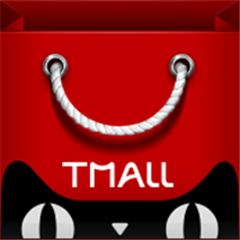 Tmall was created in 2009 when Tmall Global was created in 2014. Both of them already account for nearly 60% for the B2C revenue market share in China ! Over 20 different countries have storefronts on the sites, including The U.S., France, Germany, Korea, Japan, Australia, Taiwan, Hong Kong, and more. There’s a great marketing reason to use both Tmall sites: Chinese e-commerce is said to grow from $426 billion in 2014 to over $1 trillion by 2018, according to eMarketer. Moreover, by the end of 2018, the Middle Kingdom will be the world’s biggest e-commerce market, dominating over 50% of retail e-commerce sales worldwide, and generating twice more sales than in the U.S.
For French retailers looking to expand and attract Chinese consumers, the Tmall sites have features and benefits that can widely help their global expansion. 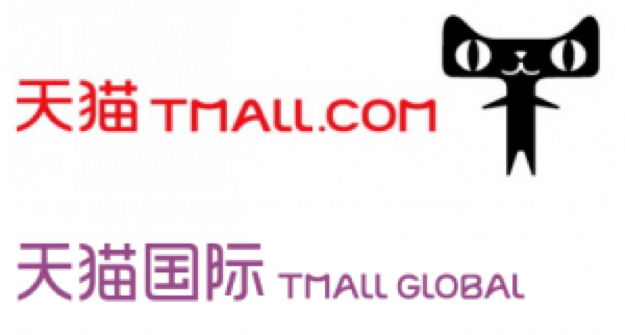 What is Tmall v.s Tmall Global? Tmall Global was created back in 2014 as a solution to bring more international retailers to join the site. Even if they are similar in many ways and operate on identical platforms, there are a number of crucial differences that help businesses decide which makes the most sense for their products. Why is it a great idea to sell on Tmall and Tmall Global? Tmallwebsites sell authentic goods from retailers that are authorized to sell. The Chinese commerce market is known worldwide to have problems in dealing with fake products. Thus, Tmall websites provide safe and trusted alternatives for Chinese users. Better trust from users leads to a higher conversion rate and long-term consumer loyalty. Tmall websites feature Alipay, a secure online payment platform similar in many ways to PayPal. Chinese consumers trust this platform. Alipay offers currency conversion so Chinese buyers can pay in Yuan and foreign retailers are then paid in dollars or euros. Payment is only given to retailers after buyers confirm that they have well received their products. Moreover, the Tmall websites also accept payments in credit and debit cards. Daily Sales Analytics:Retailers get a daily sales report, in order to help them with making strategic decisions and with comparing their performance towards their competitors. Quicker shipping time to buyers when items are ordered, since the products are already located in China. These warehouses are located in duty-free areas that are dedicated to handling imports and delivery for international merchandise bought straight onto the net. Lower fees on customs and duties. Retailers can directly send orders to buyers, yet it is better for retailers to use bonded warehouses. Business autonomy and brand identity:Even if businesses use the Tmall websites to sell, they still have autonomy and independence over most aspects of their website such as design, operations, fulfillment, logistics, and more. This aspect gives control to retailers and enables them to establish their own identities on the Tmall websites. Delivery has to start within 72 hours of when the order is placed. Products coming from overseas have to be inspected and approved by Tmall. Retailers must give out a returns location in China. All Tmall websites must be in Chinese. For support with language, as well as marketing, customer service, operations, logistics, fulfillment, and more, there are third party service providers that retailers can get in touch with. Get in touch with our agency here to get more details. There are a number of associated fees for retailers selling on Tmall, including a deposit, an annual fee, commission, and Alipay service fee. Retailers often face many obstacles like ability to communicate in the Chinese language, establishing trust between both business and buyers… Tmall Global and Tmall can help businesses to target some of these obstacles and begin selling in the Chinese market. Although, for a much quicker and efficient job, marketing agencies specialized in e-commerce are always a better plan. They allow you to save both time and money!